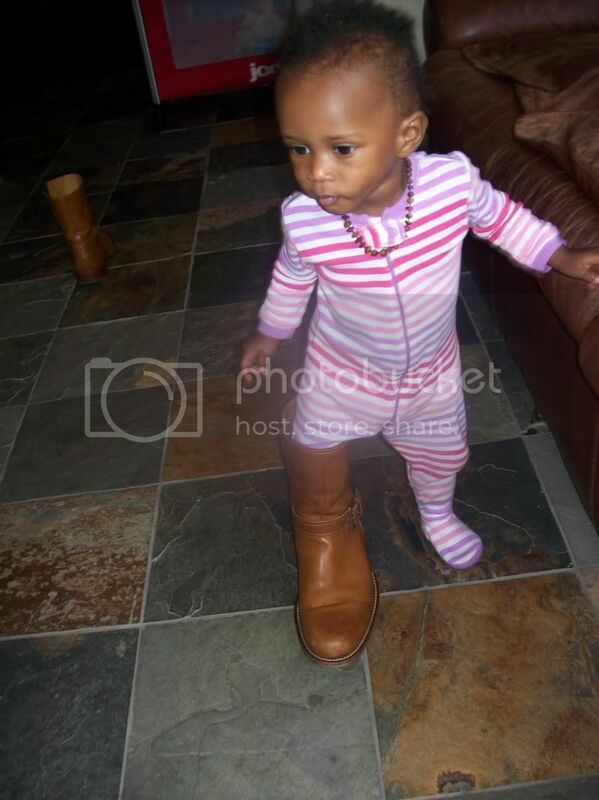 Marlie and Me: Wordless Wednesday: Don't I Fit in My Daddy's Shoes?! Wordless Wednesday: Don't I Fit in My Daddy's Shoes?! The shoe thing drives me crazy! Lewis is forever dragging my shoes or The Mister's shoes out into the middle of the floor. Mine is OBSESSED with shoes. We need to hide them after we take them off. She is so cute! I can't believe how big she's getting! Those are big shoes to fill! She is so adorable! She is one beautiful baby!!!! Make me want to kiss her xoxoxo!!! She already has a love for trying on shoes!! So cute. Too cute! This photo will be a wonderful keepsake when she is grown and you can look back and see how small tiny she was once (it's a nice thing to do when they enter the teen years, even if the worst thing they do then is have the gall to grow up). My four year old still has this shoe fetish where if he spots a pair of shoes he has not seen before he has to put them on and walk around the house. And they usually belong to a visitor or a guest. We dont know why he still does it and neither does he. Love it! She's so very serious about those shoes too. Jasmine has a thing for my nephews funky shoes. She likes the laces. Gross!